To us, wedding photographs are much more than just pictures of groups of people in the same setting. We take a much more holistic approach and believe that your wedding photographs should capture the energy and ambiance of each moment. Not only do we have the expertise to encapsulate your unique style in a fun and relaxed way, but we are also very familiar with the Watermill because we have photographed numerous wedding events there. The Watermill is a magnificent Long Island wedding venue. This private estate in Suffolk County lends itself perfectly to such an occasion. Owned and run by the Scotto family, the venue features a luxurious atmosphere with opulent ballrooms and sumptuous cuisine. The Watermill is surrounded by immaculate gardens, making it the perfect event for your wedding and reception, and the members of staff are dedicated to providing personalized service and attending to each detail of your unique event.  The Watermill has long been a renowned Long Island landmark, and now even more so because of its recent renovations and graceful décor throughout. The refined ballrooms afford flawless settings for the most important day of your life. What’s more, when you plan your wedding with Watermill caterers, you can count on sophisticated white glove service with a personal touch that includes an experienced in-house wedding planner as well as your own personal bride attendant. The Watermill has many settings for your singular wedding photographs. As well as the elegant ballrooms, there are lush gardens featuring tumbling waterfalls, colorful blossoms, and landscaped patios. All these settings are designed to make your day unforgettable. Your Long Island Wedding will be perfect thanks to the wedding planners and caterers who will make your dream into reality with the best quality services and amenities. If you are planning an outdoor wedding, you will love the Watermill’s outdoor chapel and gardens. Your friends and family will be enthralled as they watch you walk down the paved aisle, with petal-strewn borders to the chapel in a clearing surrounded by trees and elegant landscaping where the charming alter is framed by a floral arch. If you prefer an indoor wedding, the Watermill’s non-denominational chapel captures beauty and simplicity without lacking opulence. It will merge seamlessly with any wedding theme. Because we feel that the instrument of great photography is not the camera but the photographer, we are committed to familiarizing ourselves with you and your groom, as well as your friends and family who will be sharing your special day. We would love to meet you to discuss your wedding plans and to explain how we can make your wedding a day you can remember forever. Call us to make an appointment.